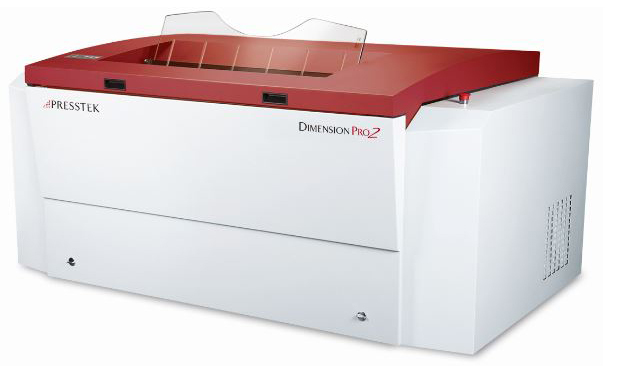 The Dimension Pro2 is an optimum system for maximum platemaking productivity and economy. Dimension Pro2 is available in 4-, and 8-page formats with your choice of laser channels and automation to deliver the right price and performance combination to meet your exact production and business needs. Long clamp life - approximately 5X longer than other models! Learn about Anthem Elite plates for the Dimension Pro2.